Founder: NGK Spark Plugs, Co. LTD. 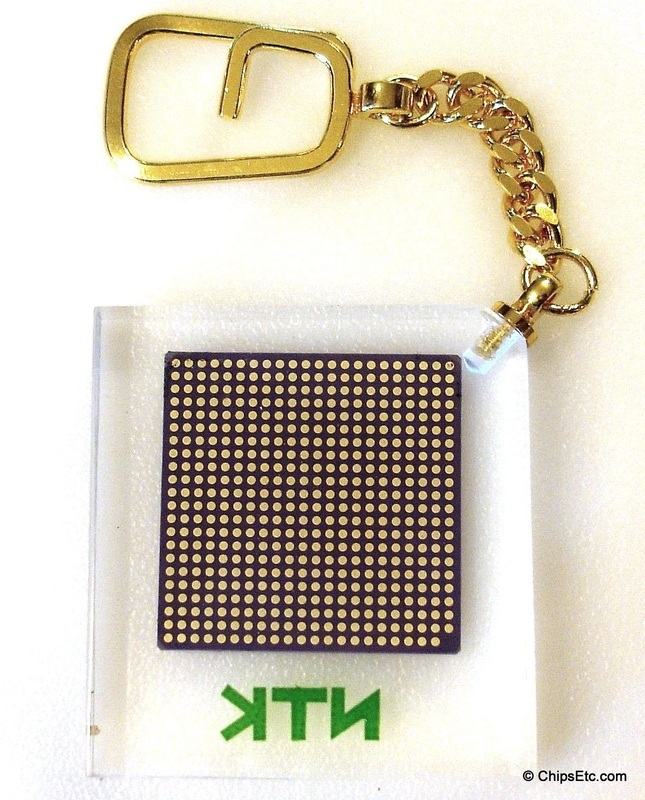 This promotional keychain from NTK features a Motorola 7450 G4 processor ceramic substrate embedded in clear Lucite. The Motorola 7450 PowerPC processor powered the Apple G4 Power Mac desktop computers. 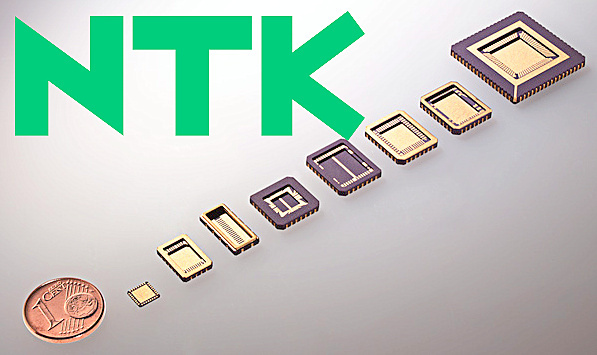 NTK Technologies, previously known as NTK Technical Ceramics, is a division of NGK Spark Plug Co., Ltd. and has a long history of being a supplier of ceramic substrates to the semiconductor industry. 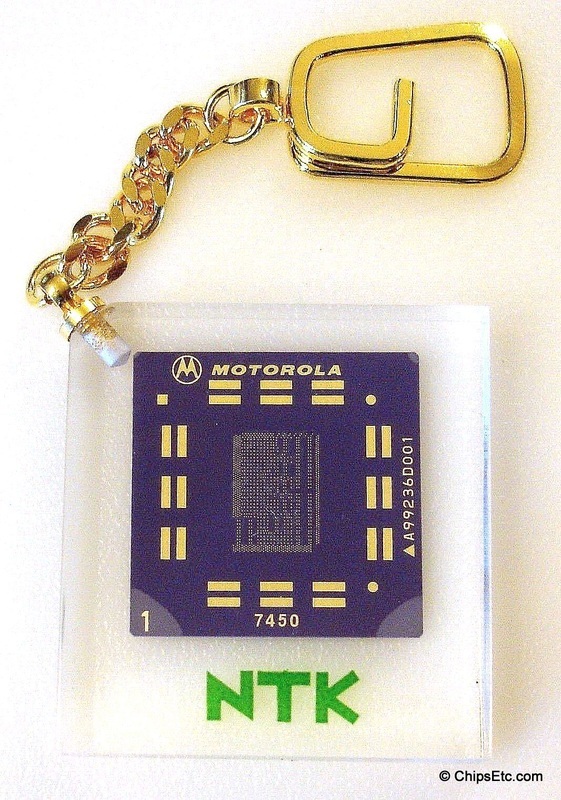 The substrate, fabricated by NTK for Motorola, was a ceramic substrate used to flip chip mount the Motorola fabbed silicon die. ​The bottom of the substrate is a BGA (ball grid array) type for mounting onto the PC's Mother board. New, unused in original package. In 1994, three Japanese ceramic PGA packaging suppliers (NTK Ceramics, Kyocera, and Sumitomo Metal Industries (SMI)) were requested to double their manufacturing capacity to 100 million ceramic packages per year for Intel to maintain production of their fast selling Pentium processors. By 1996, a company called Ibiden had perfected the technology to begin mass-producing plastic PGA packages. In January of 2016, Intel would introduce their first Pentium processor that used a plastic PGA package - the Pentium P54CS 166MHz. By 1998, Intel's three qualified suppliers of plastic Integrated Circuit packages would become Ibiden, Shinko Electronic Industries , and Johnson Mathey.